It would be our pleasure to welcome you to this beautiful part of France. 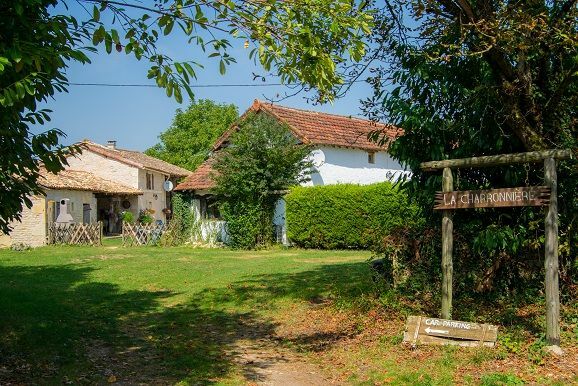 Set on the border of Deux Sevres and Vienne, we are in the heart of the Charente the second sunniest region in the country. La Charronniere is situated close to the N10 between Poitiers and Ruffec. The terrain is excellent for walking and cycling with wonderful views as you make your way around. You will find the fields full of sunflowers, corn and wheat alongside colourful wild flower meadows and glorious wooded areas. Wild deer, hare and birds of prey are regularly spotted and even to the naked eye the sky at night here is breath taking. 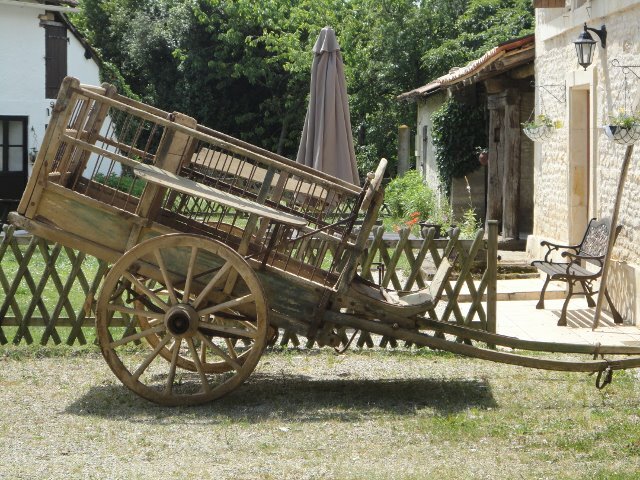 Parts of the property date back to 1865 and La Charronniere was once a mule breeding farm. We are nestled in between Chaunay; which has a small supermarket, weekly market selling local produce (Monday), post office, pharmacy, 2 bakers, hairdresser, tabac, bar and restaurant; and Brux which also has a supermarket and a bar serving snacks and meals. The nearest larger supermarkets are in Couhe which is 4 miles away or Civray a 15 minute drive. Bring your bikes or we can put you in contact with a bike hire company who will deliver them to our property, with all safety equipment etc you would need to explore the area which is tranquil and almost traffic free. There are plenty of local attractions that would appeal to all ages within easy reach e.g. Vallee Des Singes (Valley of the monkeys) is only a 15 minute drive. Futuroscope is 40 minutes and there are many unusual activities to try such as the VeloRail or maybe Kayaking in one of the many rivers around. We provide information packs to help you plan your time with us be it Fairy-tale Chateaux, watching birds of prey put through their paces, visiting local markets and picturesque villages or something more energetic which makes you happy. 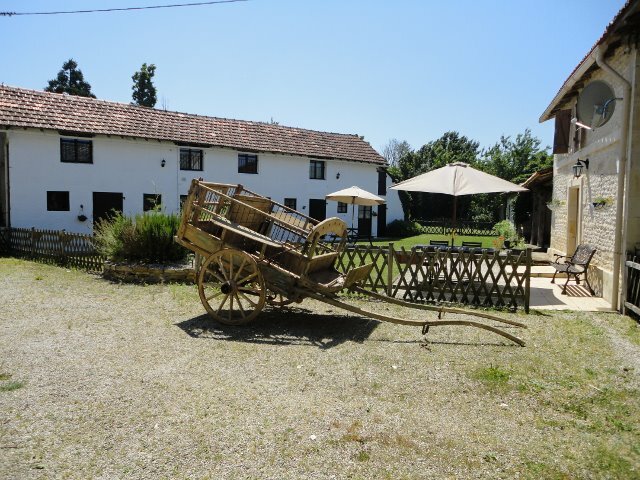 Each Gite is fully equipped for your comfort and enjoyment with Freesat English TV and Free Wi-Fi connection. Bath, hand and tea towels are provided as is all bed linen and pool towels are available on request. With a superb secluded sun drenched pool, sunbathing area, swings, slide, BBQ area and lighted games hangar with table tennis and pool table, and a 6 hole CRAZY GOLF COURSE. What more could you ask for? At La Charronnière we endeavour always to make your holiday a special one to remember.